Thanks a lot man :) Really nice that you post here, it´s always good for an artist to hear that his work is appreciated. If you have any specific questions about the art or techniques, just shoot. 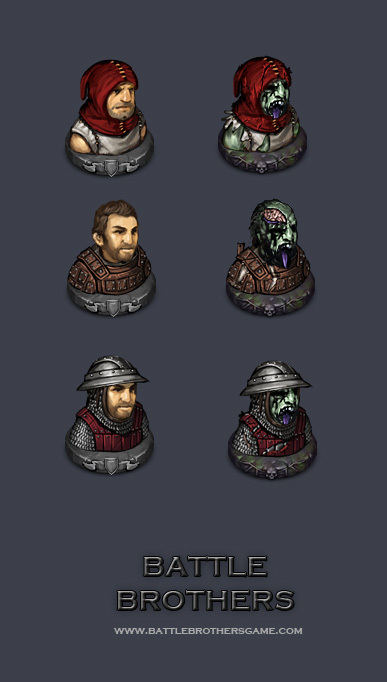 Here´s a little update featuring the art assets für the necromancer enemy. This guy is not very tough and doesnt deal a lot of damage, but he can be a real pest. 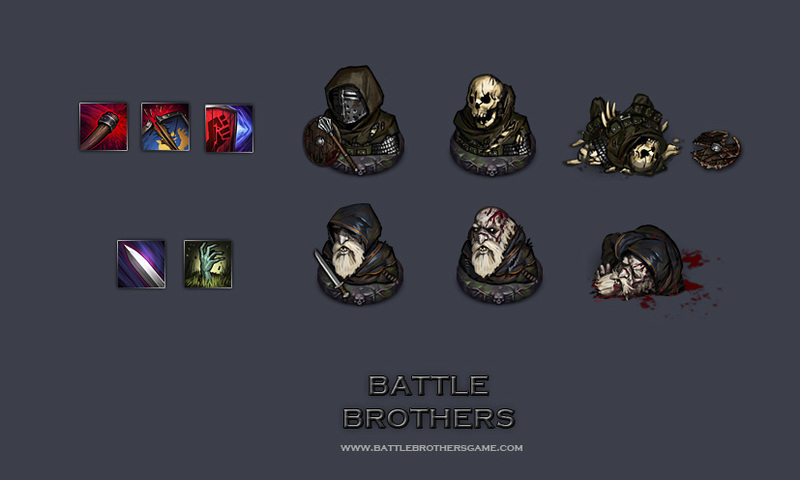 He revives all kinds of slain undead (and slain battle brothers as well:)). So be sure to get rid of him quickly, or the enemies will stack up real quick. On top of that he´s always accompanied by a big and mean skeleton knight bodyguard. here´s what I´ve been working on last week. just giving you a small update on the keyvisual. 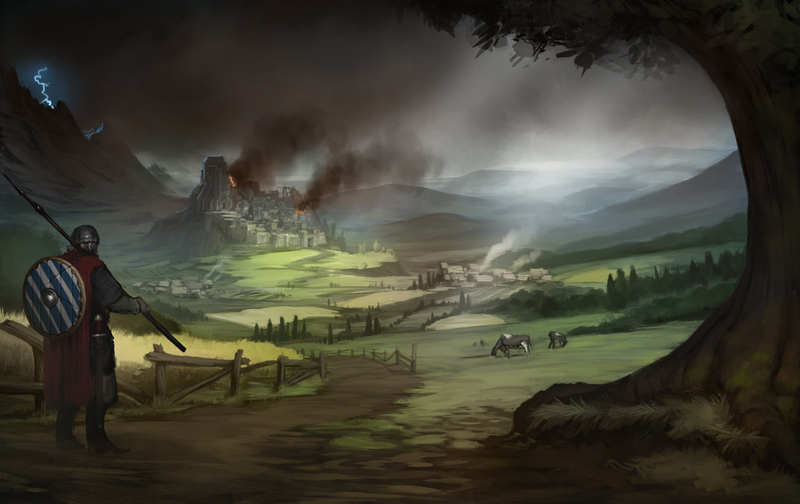 The rest of the time I´ve spent on developing the look of the worldmap which costs a lot of time without producing a lot of awesome, showable pictures. 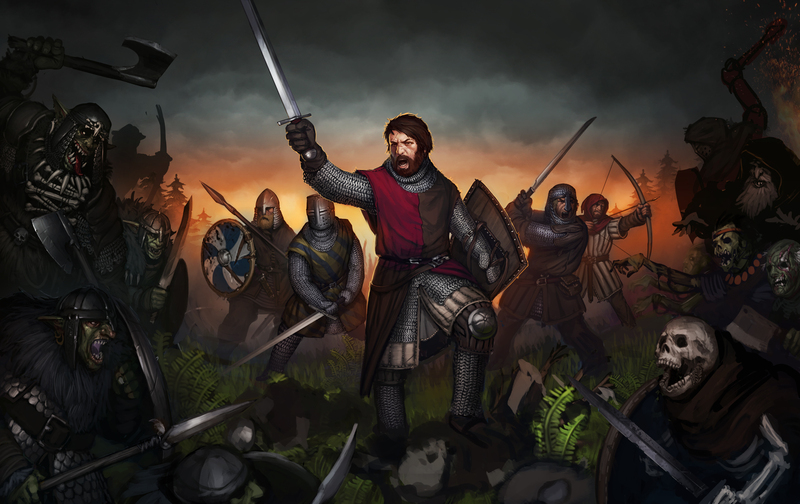 The next focus is to prepare the neccessary graphics for the basic implementation of the Inventory system before launching the public combat demo some time “soon”. While I continue working on the Keyvisual, I try to get all the icons ready we need for the inventory system. 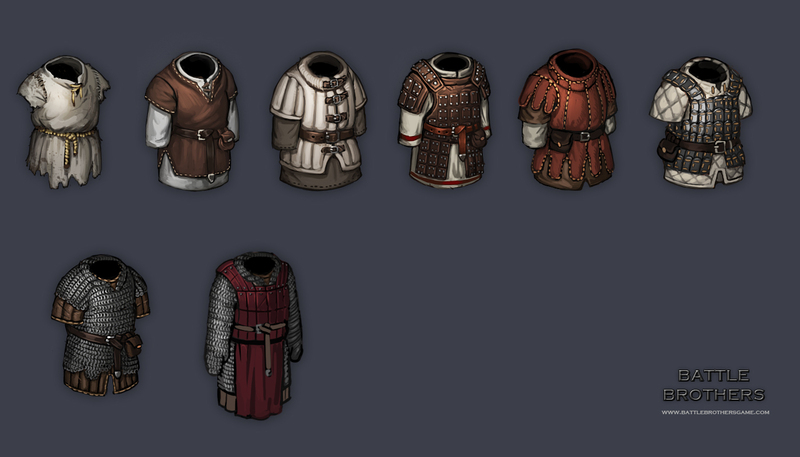 Some of them (mostly armor) will not be of final quality but the main focus is to get everything in. I´m looking forward towards that! 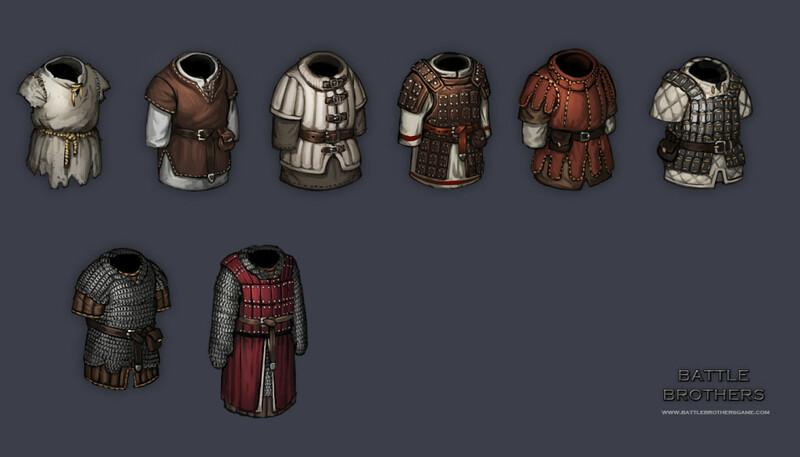 right now I´m working on the inventory icons for the Armor. 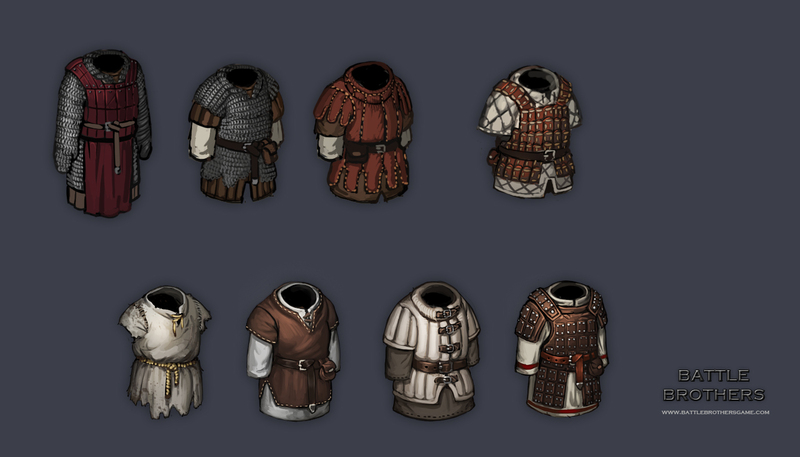 In that step I´ll use the opportunity to rework some of them to get a consistent look and power progression into the items (behold, the top row is work in progress). Just a quick progress update on the Armor. Btw I am working on a proper game Logo right now. Can´t tell when I´ll post it here, but expect it soon! Here´s a little update on the keyvisual. Now there´s just two or three minor characters missing and then one more overall pass where i polish lighting, color adjustment and of course: bloodsplatter! I tweaked a lot of the colors to make the whole scene more desaturated and gloomy.